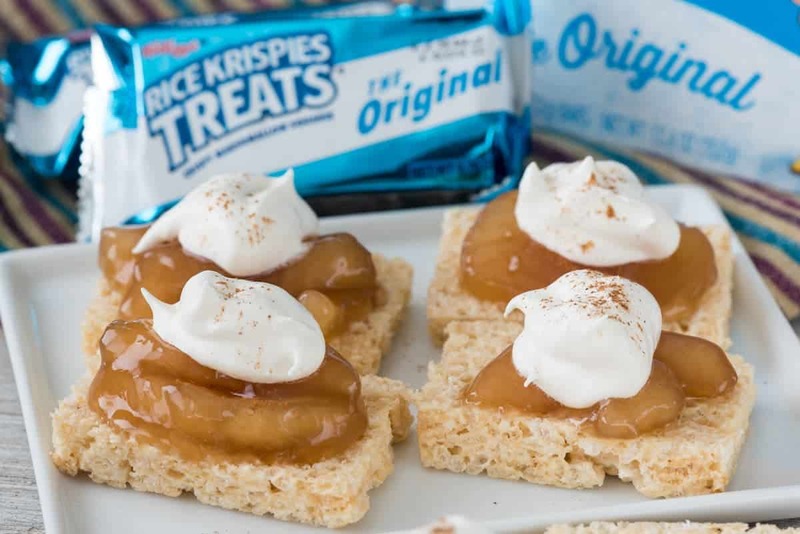 Rice Krispies Treats Easy Apple Pies – make this easy no-bake dessert recipe with only 3 ingredients! Use krispies treats for the crust and apple pie filling to make an EASY apple pie recipe! Can somebody tell me how it’s November already? How there is only a month until Thanksgiving and less than two months until Christmas and then OMG it’s going to be 2017? I’m going to be 40 in 2017. WHY is time going so fast? What’s funny about Thanksgiving is that I always “meal plan” but then I make the exact same recipes we eat every year. There’s the turkey (obviously), the cornbread stuffing (Jordan’s favorite), knoepfle (my dad’s special Swiss noodles), and some sort of vegetable that’s coated in bacon because, duh, bacon. I even do the same thing every year for dessert: Crumb Apple Pie, Pumpkin Pie, and Pecan Pie. Want to know the kicker? Jordan doesn’t love pie. (I KNOW! HOW IS SHE MY DAUGHTER?) So, not only do I make all the pies for 5 people, but I also make a Jordan friendly dessert. This year, I’m making EASY Apple Pies with a crust she can’t turn down: Rice Krispies Treats. 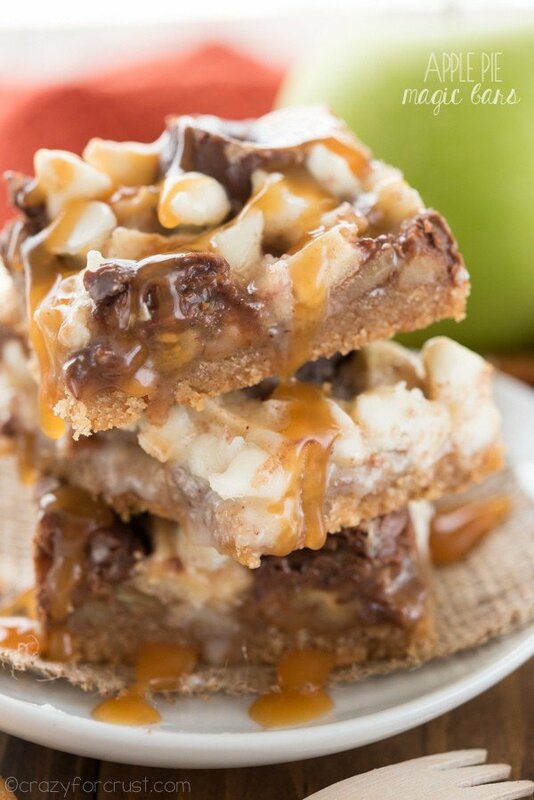 Rice Krispies Treats easy apple pies have only 3 ingredients and they take 5 minutes to make. There’s no food processor or stove or oven involved. It’s a no bake apple pie with a Rice Krispies Treat crust! Basically, to make this pie, you slice a Rice Krispies Treat in half, top it with pie filling, and then dollop on some whipped cream. I drizzled mine with caramel because who doesn’t love caramel? These are the easiest pie you’ll ever make – and the kids will go crazy for them. Plus, you’re not limited to apple pie filling! Use ANY pie filling…and top them with ice cream. 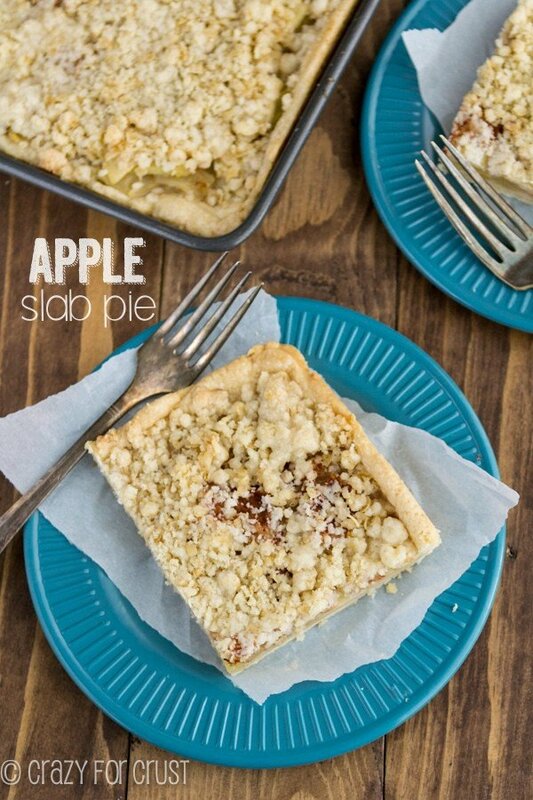 I may eat Rice Krispie Treats easy apple pies instead of indulging in 3 slices of traditional pie! 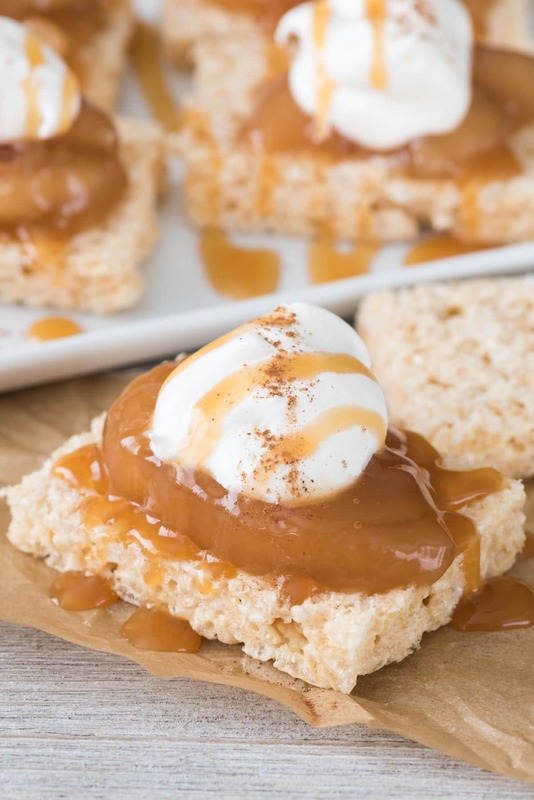 Rice Krispies Treats Easy Apple Pie - only 3 ingredients! Use krispies treats for the crust and apple pie filling to make an EASY apple pie recipe! Unwrap each rice krispies treat. Cut each in half horizontally. Top each halved treat with a few pieces of apple pie filling and some whipped topping. Garnish with a sprinkle of cinnamon and a drizzle of caramel, if desired. This is more a method than a recipe - make as many as you need. One can of pie filling will make about 30 of these, so you can make however many you need and then make this strudel with the leftover pie filling. I am in disbelief that we’re just two weeks away from Thanksgiving! We need a pause button in life, time is just flying by way too fast! I am very excited for the holidays, though. 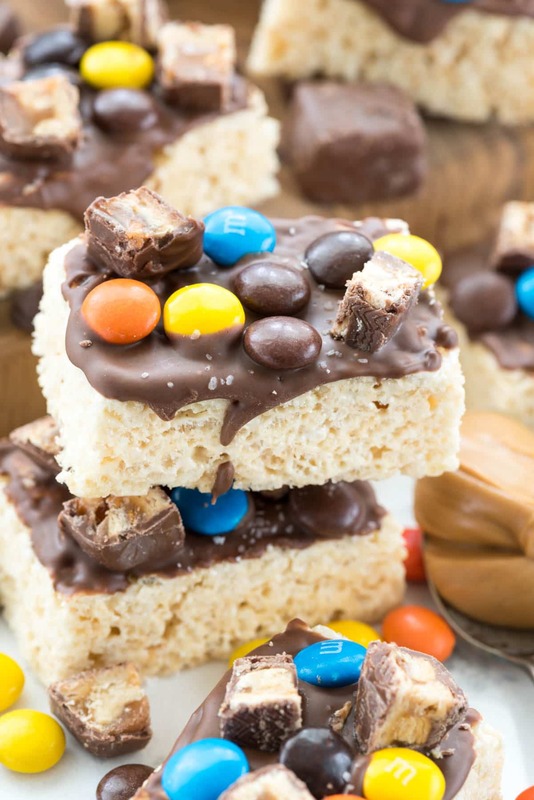 And these rice krispie treats are just too cute and fun! What a brilliant idea, Dorothy! Clever! I love the play of flavors and contrasts here. I think I’d like these more than regular apple pie because I LOVE RKTreats. Love love. You could skip one of the pies…especially if you have these cuties! No way!! I need to explore the idea of rice krispies crust…oh man. this is a game changer. Such a fun idea Dorothy! I know my boys would go crazy for them! Such a fun and easy idea! I know my boys would LOVE these! those are not only brilliant, but adorable!